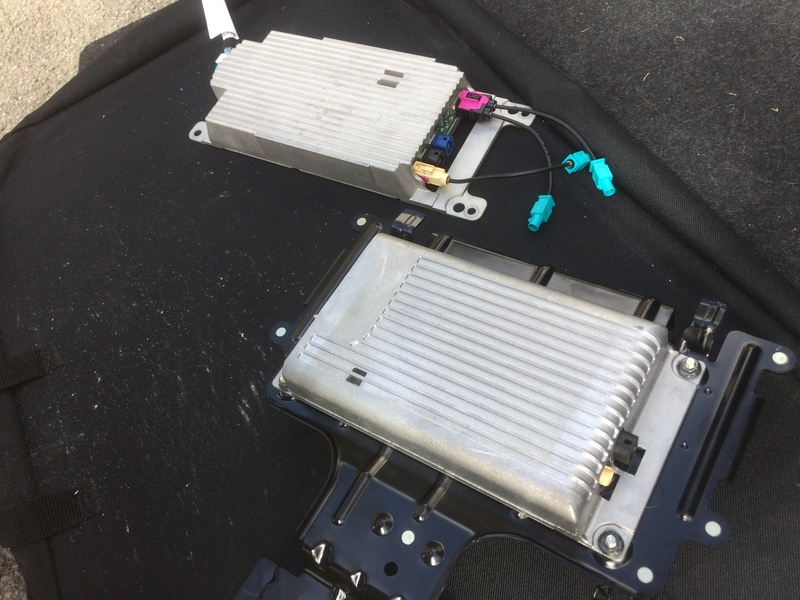 For this project, I’m attempting to fit a CIC iDrive headunit into my non iDrive BMW E88 (LCI facelift) (same as E82 but convertible). 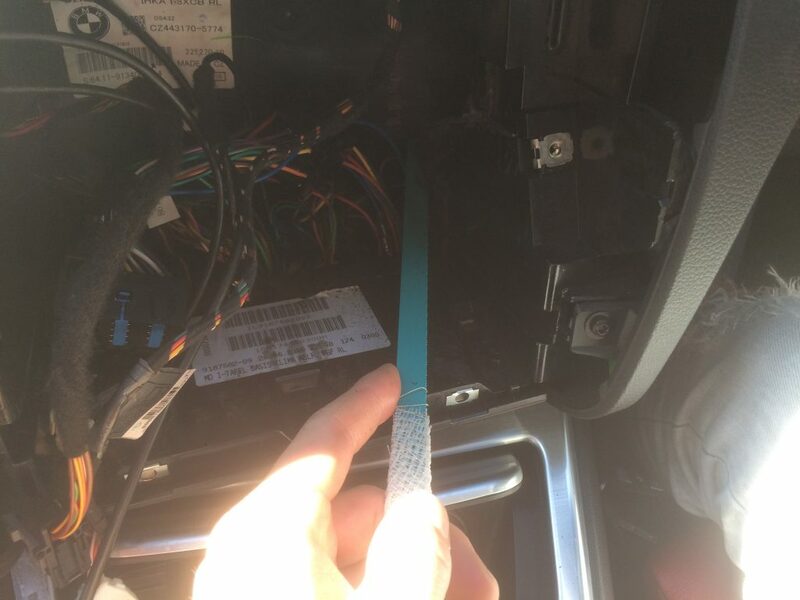 Unfortunately BMW do not supply any kind of retrofit kit, so some custom wiring and connector troubleshooting will be involved. 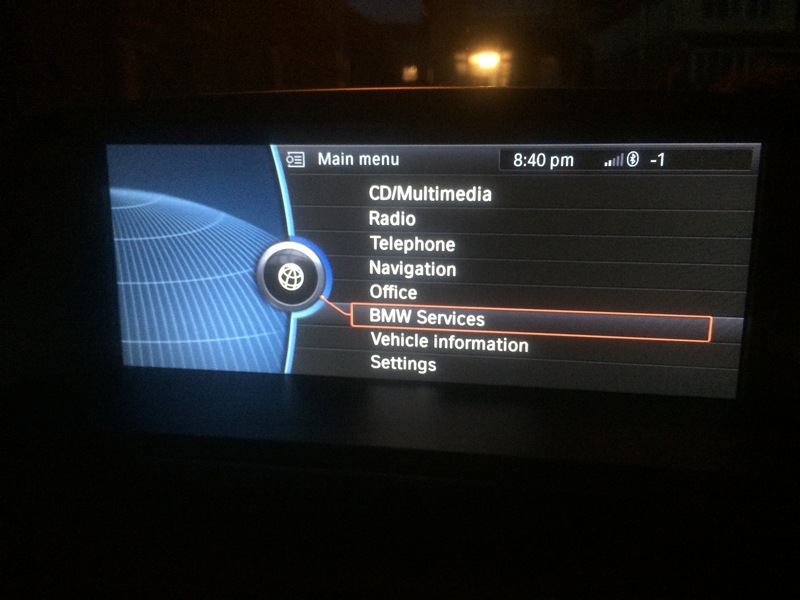 The benefits of a CIC system is the sat nav screen, visual parking distance controls and display of media information. 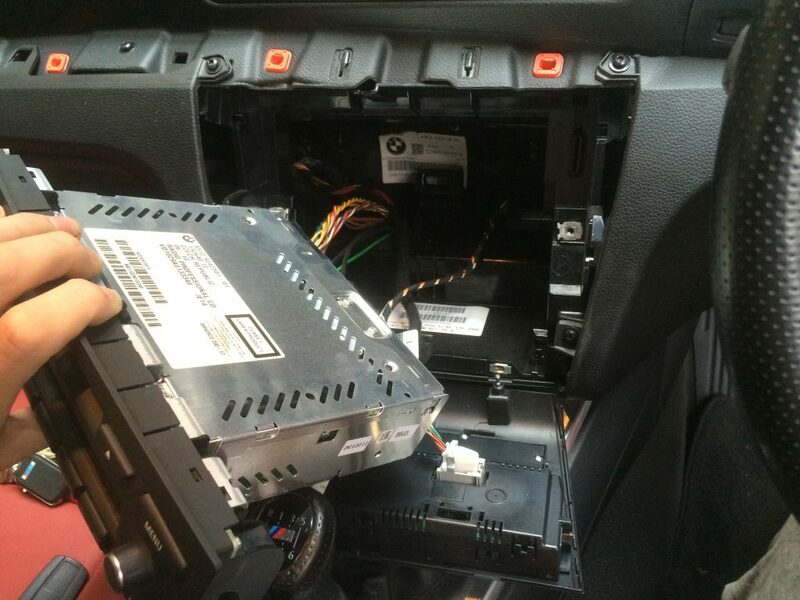 I’m also going to attempt to retrofit an E90 combox into the boot with the MULF for bluetooth streaming and BMW Connected apps via an emulator. 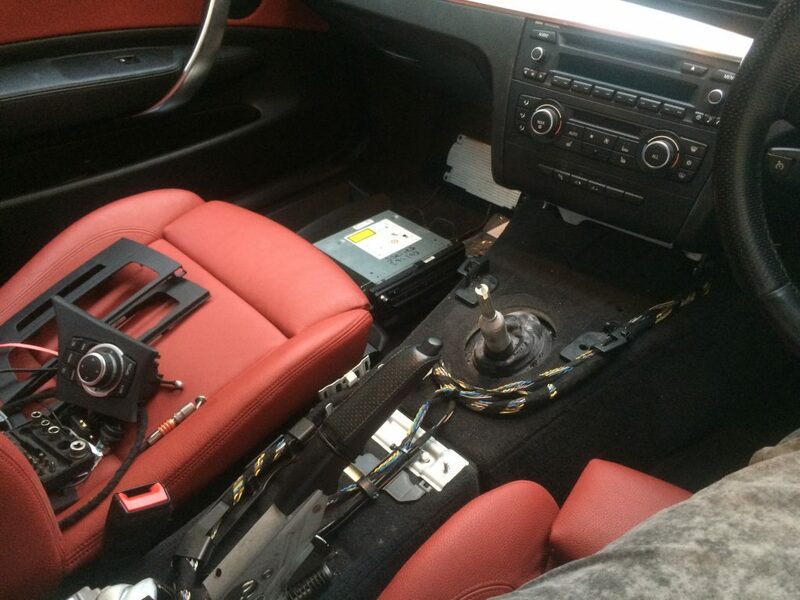 First, stripping out the centre console. 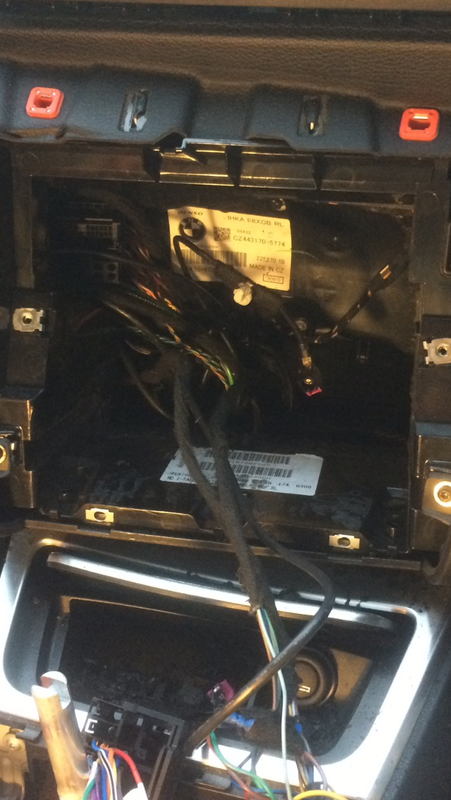 Trim pieces swapped onto the iDrive controller centre console, and then refitted. 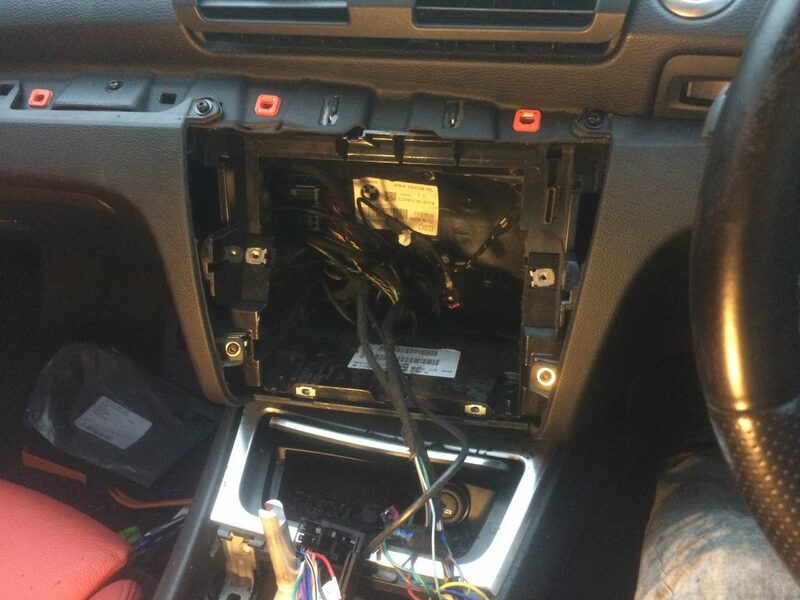 The dashboard requires some cutting. 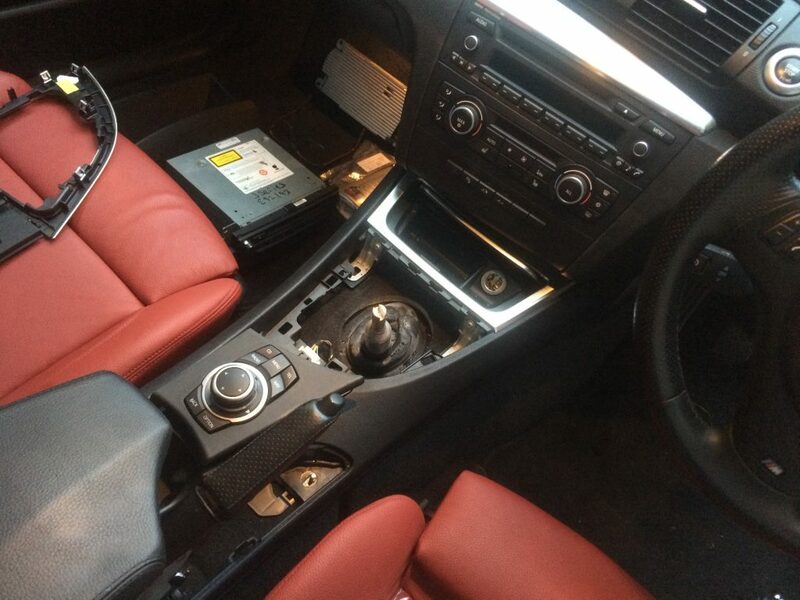 If you’re too afraid, you can purchase a complete iDrive dashboard still from BMW for around £360. 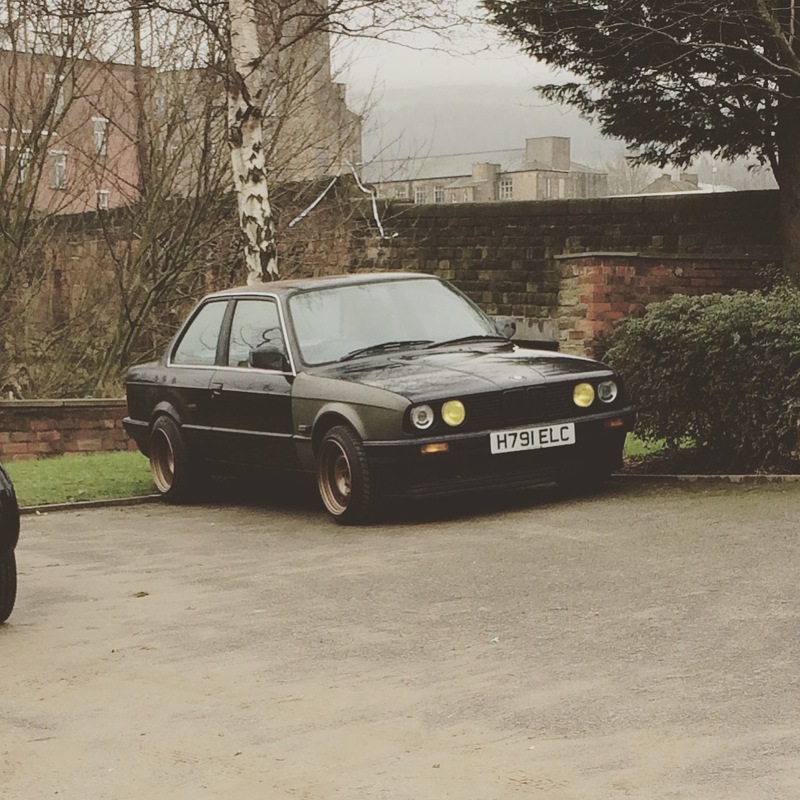 Cutting took only around half an hour, so much easier than a dash swap. Next up was a test of the wiring, success! 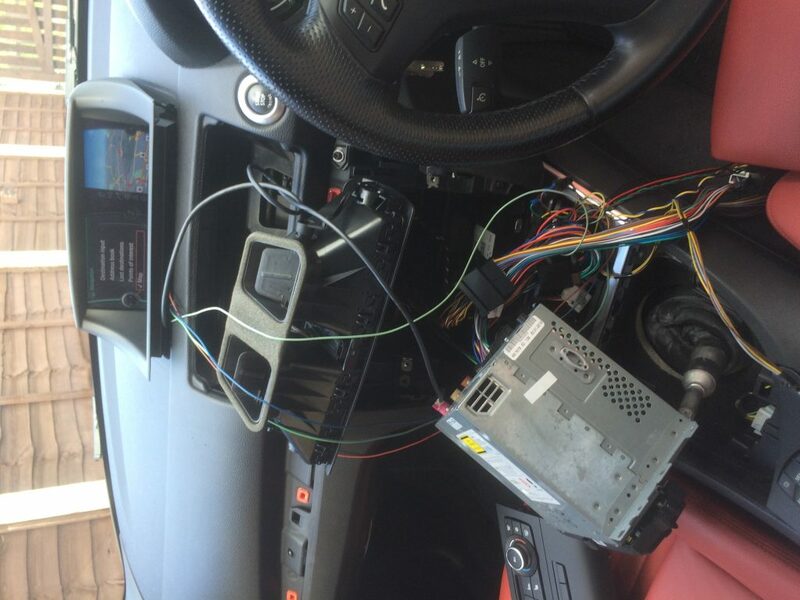 The iDrive works and the emulator bypasses the vin check from the CIC unit. 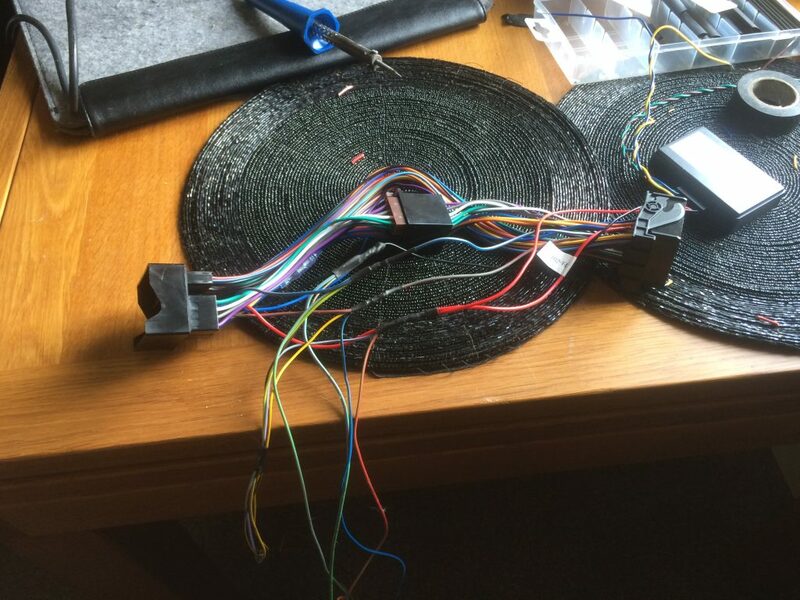 Navigation and voice controls working perfectly. 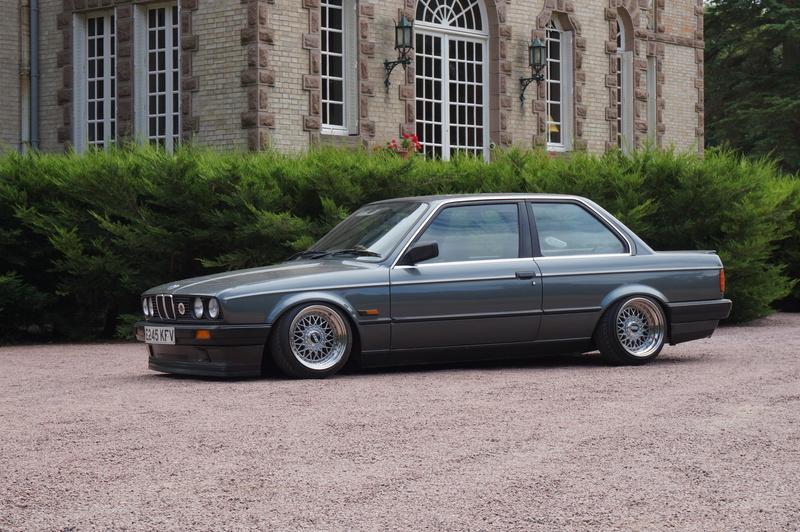 I also changed the vehicle production date to 0311. Next, you need to SG_CODEREN a blank .man file to both the CAS, CIC, MEDIA (if fitting a combox) and the NFRM modules (FRM if you don’t have NFRM). All the lines that start PIM_~ change to aktiv – this will enable your office functions. 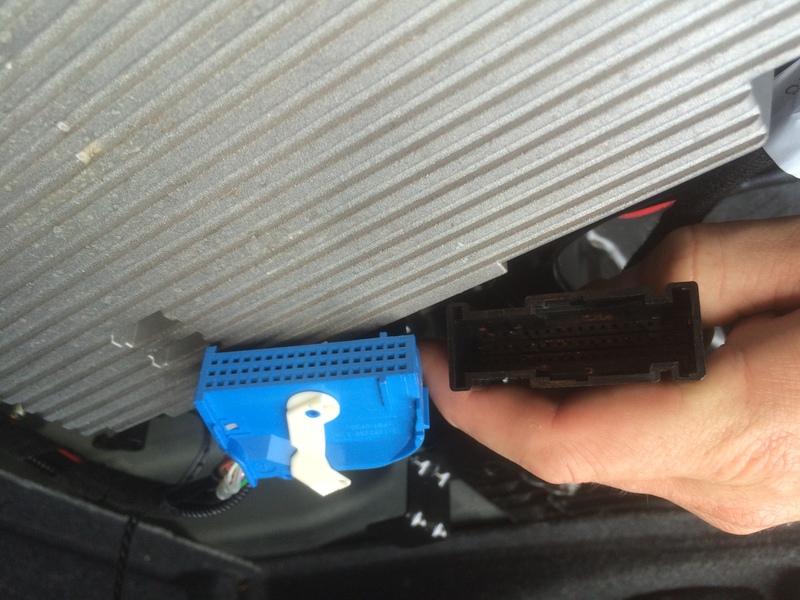 If you are using a telematics combox (like me) then you will need to code out the telematics functions.